Wash spinach well, if pre-washed just wet. Let drain. The water on the leaves helps to steam the spinach. You can also use frozen once defrosted. Leave cream cheese out to become room temperature, then cube. 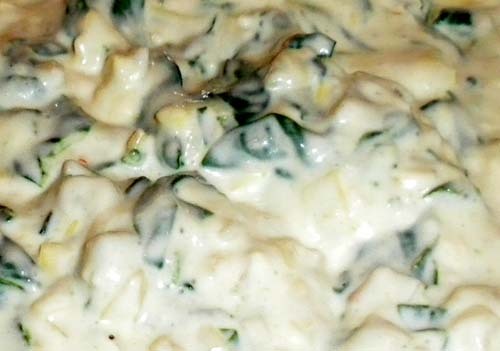 Drain artichoke hearts and chop. 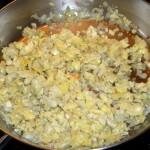 Heat a large pan and add oil, then sweat the onion on medium-high heat until transparent. 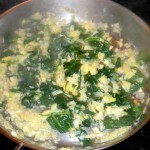 Add the garlic and cook until golden, immediately add the artichoke hearts, stir, then the spinach. Stir and cover for a minute. 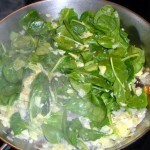 Stir again and leave uncovered when the spinach is reduced in size enough to manage by stirring. 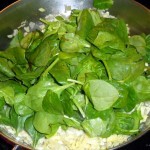 When spinach is gently cooked, remove from heat and strain. and the rest of ingredients in to the pan and mix well. 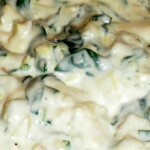 You can use a potato masher to break up the cream cheese.You can eat it now or bake this for 15 minutes at 300 degrees. 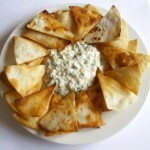 Serve with tortilla chips or bread. 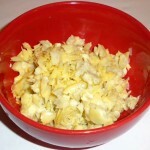 You can also cut up tortillas into wedges and fry them, then add a little salt while they’re draining. 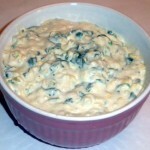 You can substitute the sour cream or more cream cheese for the yogurt. 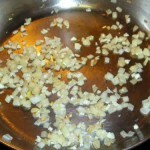 The beef cuts the strong liver favolr, and the garlic helps cover it up. a0My daughter loved these, eating three (! ), and the rest of us found they were a great way to get liver in our diet. I cut one in half the next day and used it as a sandwich filling, yum! 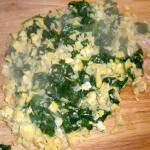 a0For me, eating liver is all about cutting the favolr- I enjoy it with my garlicy spinach artichoke dip as well.